BUT WE'LL BE THERE SHORTLY! 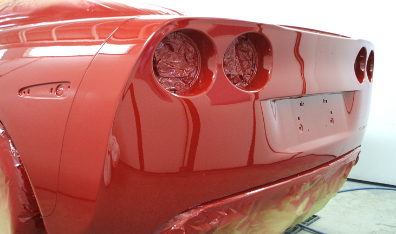 Others call because they want a great finish on their car. RAA, CGU, SGIC… We work with all reptuable insurers for convenient, expert crash repairs designed to have you back on the road sooner. Whatever the colour or finish you require on your vehicle (or something else) we have the technology to create an expert paint job in a glossy, hard 2-Pack finish! 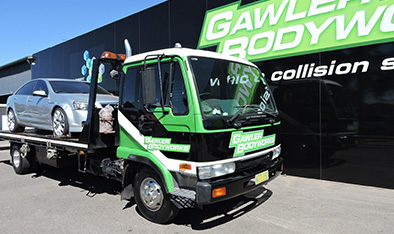 Accidents can happen any time of the day or night – that’s why we have our towing service operating 24 hours a day – 7 days a week serving Gawler, Barossa and Northern Suburbs. 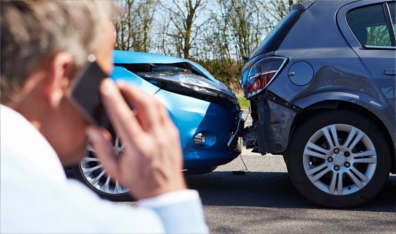 It doesn’t matter how big or small the scratch or dent, we can help. We remove minor scrapes, dents and scratches plus panel beat and fill deeper dents and scratches . Every repaired can receives a wash and vacuum but you can also request a full car detailing for a full car waxing, interior clean and polish, tyre shine and glass. We offer local pickup and drop-off for car owners who’s car is under repair. In addition, we have a car hire option available that is likely covered under your insurance claim. Our customers are well looked after with the free wash & vacuum all vehicles receive while in the workshop. Our staff go out of their way to make sure that the whole process from first point of contact to the vehicles collection is as easy for the customer as possible. Our customers also benefit from our life time warranty on all vehicles repairs by us, this gives them the peace of mind that in the event that there is a problem with the repair we will do our utmost to rectify it at the earliest possible convenience.